The cold weather is coming and it is time to move away from salads as the lunch time staple. At this time of the year I love trying my hand at some tasty soups and red lentil soup is one of my favourites at the moment. As a pescatarian and a sometimes picky eater, I have to make sure that I get all the nutrients I need, especially as we are entering the months of colds and the flu. Red lentil soup is perfect for this as the lentils are packed full of protein (they are 26% protein in fact). They are also great in working towards good digestive health, increasing energy and stabilizing blood sugar, increasing energy and aiding weight loss. 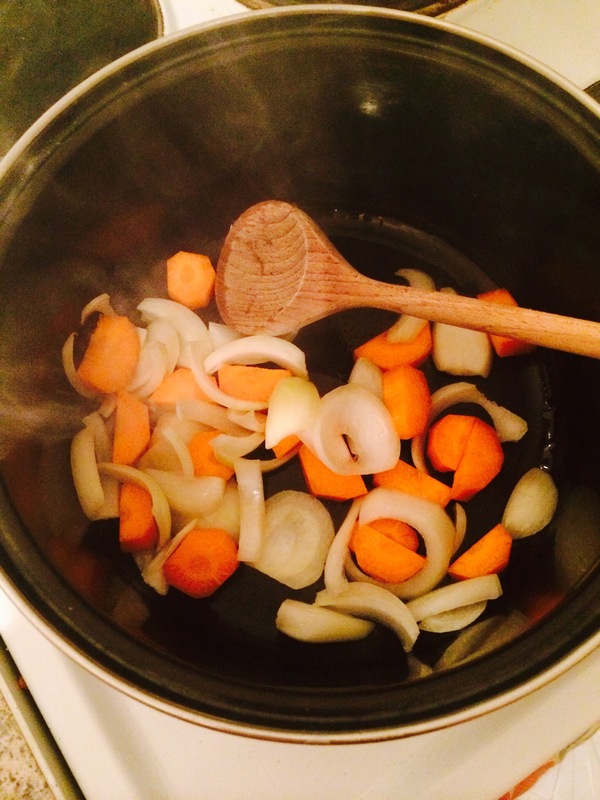 I begin by sautéing the onion and carrot in vegetable oil to bring out the flavour and soften them slightly. This can be done a large pot where the rest of the ingredients can be later added. Sauteé for about three minutes. 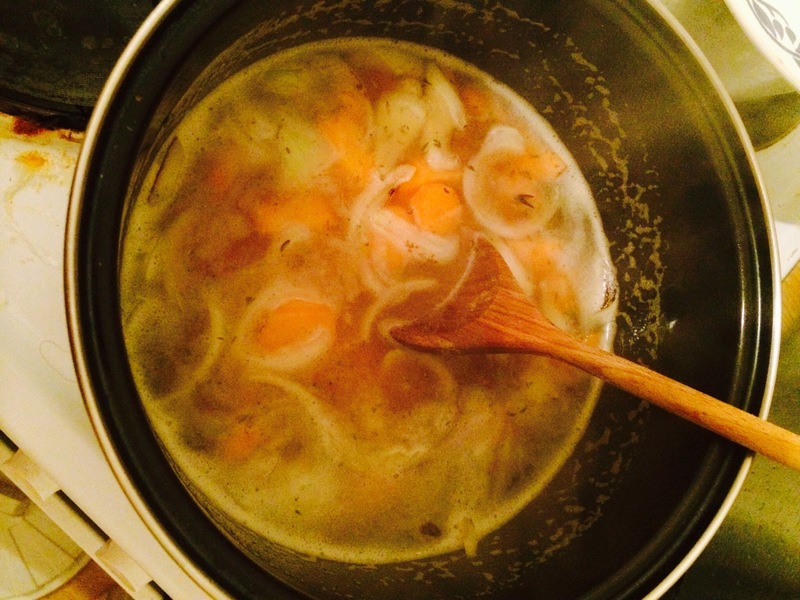 Add the water, stock cube and lentils, as well as enough salt, pepper and thyme to satisfy your taste buds. Bring everything to a boil, then reduce the heat and let the ingredients simmer. Put the lid on the pot while they simmer. The ingredients should simmer for roughly 40 minutes, or until the lentils are soft. 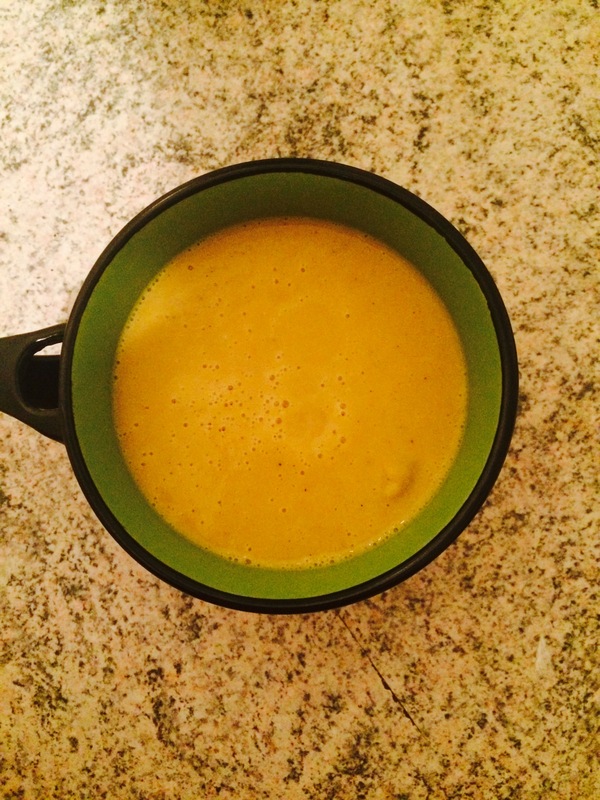 I am not a fan of soups with ‘bits’, so I throw every thing in the blender until I am left with a smooth soup. Stir in the lemon juice before serving for an additional kick. It is not the most attractive of soups but I can promise you it tastes great. I hope you enjoyed this recipe. Let me know in the comments below if you tried it, or if you have any more warm recipes for me to try to get me through the harsh winter months in Berlin. 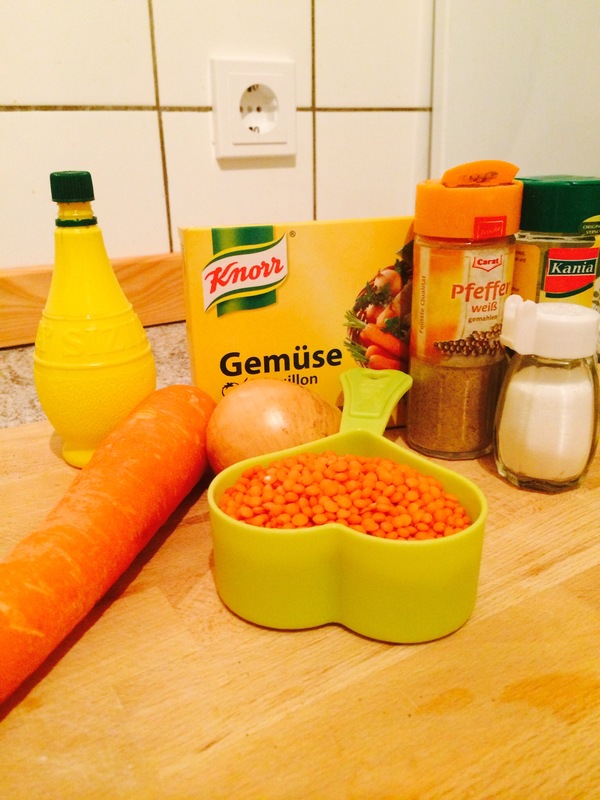 Thanks for sharing – I’ve been looking for a decent lentil soup recipe! No problem at all! I hope you enjoy it.